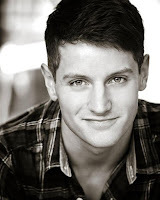 Matt Gillett is to o Play The Childcatcher in the tour of Chitty Chitty Bang Bang, taking over the role fom Martin Kemp who is scheduled to leave the production on April 24th. Matt will be taking over the role from May 4th in Milton Keynes. Matt Gillett, previously played Bob Crewe in the UK & Ireland Tour of Jersey Boys and appeared in Top Hat in London's West End, will join Lee Mead (Casualty, Legally Blonde, Joseph and The Amazing Technicolour Dreamcoat) as Caractacus Potts, Carrie Hope Fletcher (LesMis, War of the Worlds) as Truly Scrumptious, Shaun Williamson (The Railway Children, EastEnders) as Lord Scrumptious/Baron Bomburst, Michelle Collins (EastEnders, Coronation Street) as Baroness Bomburst, and Andy Hockley (The Phantom Of The Opera) as Grandpa Potts. Jason Manford (The Producers, Sweeney Todd), who plays Caractacus Potts until April 24th , returns to the role on September 21st. Phill Jupitus (The Producers, Hairspray), who plays Lord Scrumptious and Baron Bomburst until April 24, returns to the show from August 24. Ewen Cummins plays The Toymaker/Mr Coggins, with Sam Harrison as Boris and Scott Paige as Goran, and Kathryn Barnes, Rosanna Bates, Alex Louize Bird, Abigail Climer, Jade Davies, Ewan Gillies, Joanna Goodwin, Nathan Vaughan Harris, Christopher D Hunt, Paul Iveson, Nia Jermin, Kelsie-Rae Marshall, Mollie Melia-Redgrave, Perry O'Dea, Matt Overfield, Ross Russell, Craig Turner and Robert Wilkes.